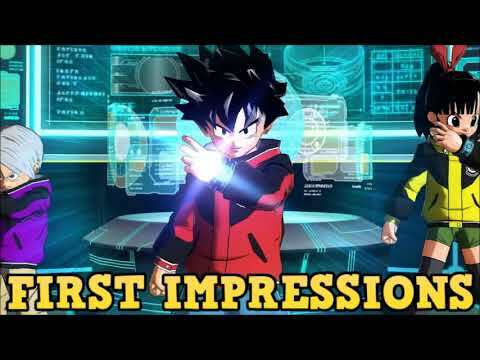 EARLY Dragon Ball Heroes World Mission REVIEW from the SWITCH as I give you my INITIAL thoughts on Dragon Ball Heroes ON SWITCH. Is Super Dragon Ball Heroes World Mission a GOOD game? This is everything I DON'T want in a Dragon Ball game. Hard pass. As I play the game, I've already noticed the gameplay repetition during Chapter 2. I do enjoy playing as the Heroes-exclusive characters and unlocking everybody by spending the Gacha Tickets any chance I get. I tend to mix up different character (I do keep in mind about the 3 classes). I believe that some bosses are unfair in difficulty (via Cell-X and Golden Frieza, Sealas and Ahms, SSJ3 Broly). Final thoughts: I'll still play it mainly for the content, I also love the box art cover for this game (it's up there with Xenoverse 2). A.K.A the game is really shallow and people only like it because they didn't had it. I got the game and love it i've been playing it a lot i'm so happy one of the Heroes games finally came outside of Japan. I can't buy it right now , The money I have Goes to Days Gone so Maybe next time . Even Do me Trying to Think Very hard about the things i do the team i use all That Stuff that you said , Normally those things turn me off of games very fast . but i love heroes lore i seen Every Video Of you Explaining it and i wish To play with those kind of characters , so that is one of the reasons i want this game . Not buying until there's a PlayStation 4 version. what happened to the endgame video???? This may be epically awesome! You okay the DBS TCG too? Who Beats Moro In Dragon Ball Super?